The strategic dialogue, as defined by the authors, is in fact the synthesis of the evolution of ancient rhetoric and modern pragmatism in communication, the noble Art of Stratagems and the application of Ericksonian hypotheses to the clinical field. Further gratification derives from the fact that Giorgio Nardone has been able to develop new ideas and to put together further original therapeutic techniques, which render this work both innovative and seminal. 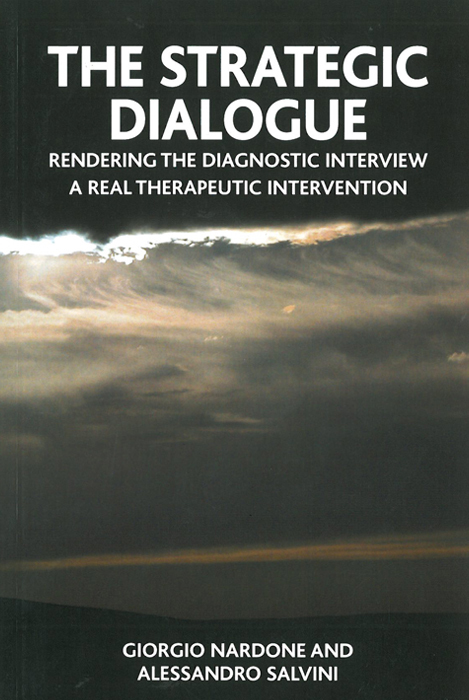 The therapeutic power of the strategic dialogue resides in its “surprising essentiality” or, better, in guiding persons entrapped in their problems to come to discover the solution in a sort of natural and spontaneous evolution throughout the therapeutic conversation.